Leeds United star Barry Douglas is confident that Patrick Bamford has the strength of character to come back from his injury problem this season. Bamford became the most expensive Leeds player in 17 years when he joined the club from Middlesbrough during the summer transfer window. Kemar Roofe’s form up front meant Bamford had to wait for his opportunity to play, but even before making his first league start, he was dealt an injury blow. A knee injury sustained during an Under-23s game last week has ruled the striker out for four months and he is unlikely to feature for Leeds until the start of 2019. Douglas feels disappointed for the former Chelsea man as even before he got a real opportunity to impress, he has been forced to sit on the sidelines due to a big injury. 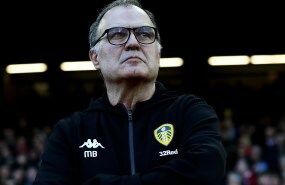 However, he is certain that his Leeds colleague has the character and gumption to get through a harrowing time and return in top shape for the Whites. Asked about Bamford’s injury, the defender told LUTV: “Yes, [it is a] big blow. “I don’t think he really had his chance yet because of the form and the consistency of Roofe. “It’s a credit to Roofe and that’s what we need. Roofe has also been ruled out for two weeks due to a knock he picked up this week and Leeds are expected to field Tyler Roberts up front against Millwall on Saturday.